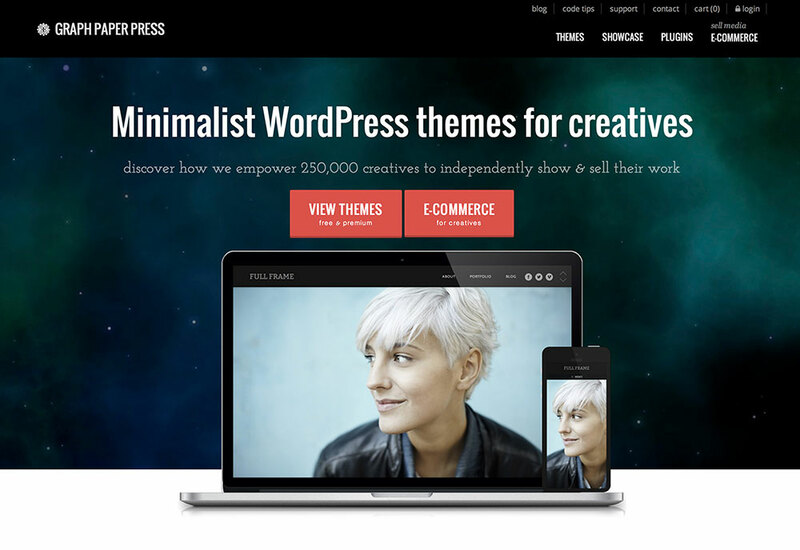 Home » TeslaThemes Coupon 2015 – Save 20% with TeslaThemes! Tesla Themes is relatively new player but have already proved to be able to compete with old players and provide great themes and customer service. 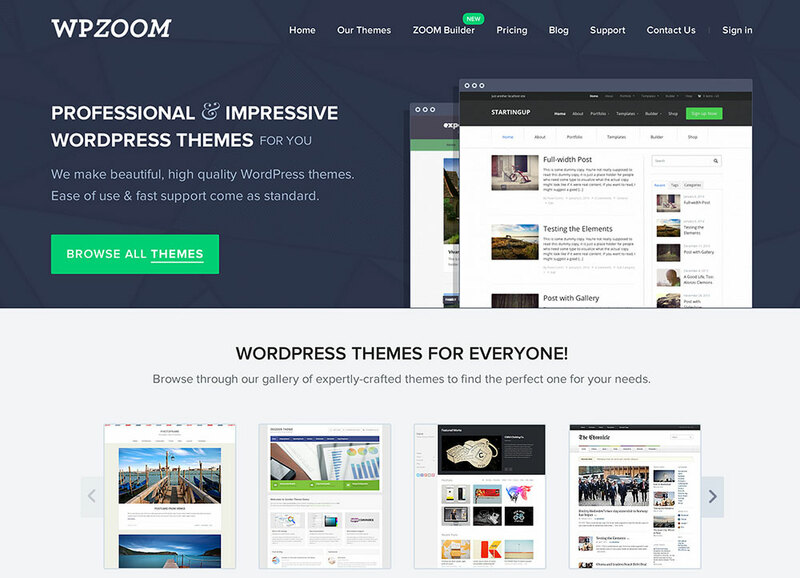 Feel free to use our exclusive coupon code to receive 20% off all themes. 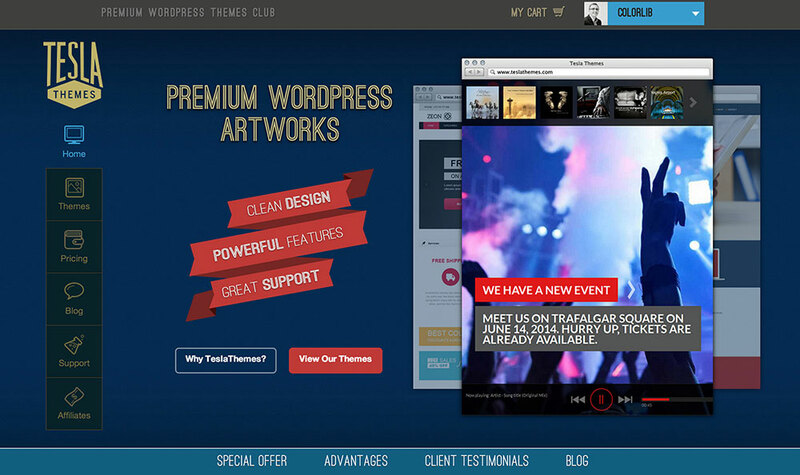 This time ww would like to share both TeslaThemes coupon code an its review. Tesla Themes have a snappy homepage, which is always a good start. A badly designed homepage on a site which sells themes is like applying for a CV writing job with a bad CV; it’s game over from square one. They present their themes beautifully and they are a lot easier on the eyes than the offerings from Mint Themes. They are bold, eye-catching and look a lot better than most websites you see on the internet by far. Some of the themes they offer are for a very niche market, which is great when you’re looking for something out of the ordinary. The one which stands out most is their ‘coming soon’ countdown theme, which shows 4 test tubes to represent the seconds, minutes hours and days, filling up with brightly colored liquid accompanied by a timer. The raw simplicity of this design is perfect and would make someone want to check back over time, just because the site is so memorable. The prices are amazing, almost as good as those of GavickPro. They offer any theme for $35, including support, but they offer every theme they’ve ever done, plus the promise of 18+ new ones a year, for just $10 more. The developer’s package is priced at $65 and offers all the current themes, the same promise of 18+ themes per year on unlimited domains, free weekly updates, technical support, extensive documentation and all of the PSD files. This is a huge amount of freedom for developers and for just $65 it blows Mint Themes out of the water. All themes also come with the unique ‘Tesla Framework’ which is an easy to use administrative tool which simplifies the customization and installation process when you’re trying to apply their themes. This negates the need for coding, thankfully, and even if you can code it means that you don’t have to, you can get the site up and running in a matter of minutes. This is everyone’s dream in the world of web, which is fast paced and erratic. You never know when you’re going to get hits, so don’t waste time with the technical details and have it up as soon as you can. When you buy a membership package from TeslaThemes, they don’t just forget about you. You get a year of support, all of the updates and all of the future themes. You feel as if you are a valued customer as opposed to just a few dollar signs on a screen. Another great thing is that they offer free themes. This gives the user a chance to try out the Tesla Framework and see if it really is as good as they say it is. I tried it out myself and it made things a lot, lot easier. When browsing their themes, you get the chance to see what a default website with the theme would look like on your screen. This is a good feature, since buyers could be very skeptical about trying before they buy. This feature eliminates any shade of worry and shows you that their themes look exactly as snappy as you think they will. Tesla Themes also run a blog which is a nice distraction from the main reasons you will be going on their site; business or work. As well as updating the public with news from their organization, they post jokes and lists which are welcome diversions. TeslaThemes are true professionals. Their themes are lovely to look at and won’t cost you much at all to get the full library of themes. This certainly beats the deals offered by ThemeForest, where you buy one theme and you take what you are given without complaining.